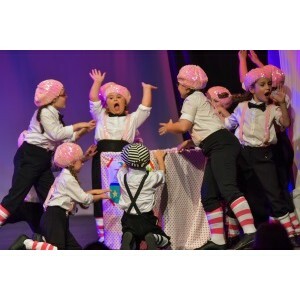 Created for little dancers this class combines a fun mixture of dance, technical exercises and movement games. Songs and poems are especially written by Makers of Dance Energy teachers, combined with current chart / TV music suitable to that age group. 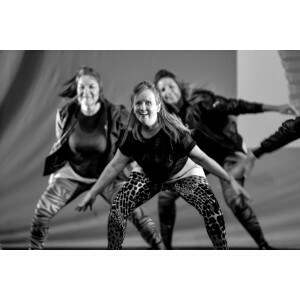 Makers of Dance Energy focuses on the dance basics that increase musicality, co-ordination and confidence. Each term is themed and children receive a free colouring sheet and stickers every week. The Junior class offers the younger generation a chance to experience the funky combination of two dance styles in one creative session. Using current chart music applicable to their age, mixed with dance games, technique and routines, students increase mobility and co - ordination; gain confidence and have fun dancing. Pre Intermediate is designed to bridge the gap between Junior and Intermediate age groups. This class aims to push the students that little bit harder as it separates the styles of Jazz and Street dance. Improving upon the basics of each dance style, new steps are added and students are encouraged to take their technique one step further. An energetic class full of new ideas, fun routines and funky steps that improves confidence, concentration and technical ability. Intermediates are introduced to more specific styles within Street and Jazz dance. Using a specially created dance syllabus that enhances their technique, flexibility and co-ordination, students focus on more detailed technical exercises combined with funky routines in both classes. Using current chart music, mixed hip hop tracks and introducing jazz, swing and musical theatre music this class gives a vast variety of dance and music trends. The senior class is a more advanced version of the Intermediate class that allows the students to build on their technical vocabulary and develop a more individual style. Dancing to mixed hip hop tracks, chart music and various styles of jazz music this class not only expands their dance skills but also enhances their cultural appreciation. An adventurous, fun filled class for you Adults. An adventurous, fun filled class for adults, focusing on Street Dance technique. With the option of being involved in the show or not - NO Pressure, just Fun!